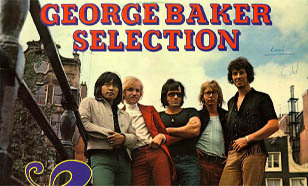 George Baker (born Hans Bouwens) is the founder of George Baker Selection, a Volendam outfit which, in the 1970s, became one of the very few Dutch groups to became world famous, probably by moving to a more middle-of-the-road Dutch folk-tinged pop repertoire. Their line-up in 1967, then still called Soul Invention, featured: Hans Bouwens (v, g, p, o, fl), Eric Bardoen (s), Job Netten (g, later to Instant People and Lucifer), Henk Kramer (s), Ton Vredenburg (dr), Jan Visser (b), Sjaak Greuter (v, o, fl, acc). 1969 brought the group's first breakthrough hit (see chart information below), "Little Green Bag", and the story of George Baker Selection really began. In 1970, the line-up featured: Hans, Jan, Sjaak, Jan Hop (dr, ex-Kiss Kiss) George The (v, g, b). A year later, Jan Visser went to Fisher & Friends, and was replaced by Cor Veerman (ex-Left Side). In the years 1974-1978 (until George decided to go solo), the line-up remained: Hans, Jan Hop, Sjaak, George, Lydia Bont aka Lida Bond (v, ex-Q-Tips) Martin Schoen (b, ex-Rob Hoeke). - Paloma Blanca: stayed 23 weeks, 13 of them on number one!!! In 1989 they released the album "Save all your Love Songs" (the uppercase letters were written exactly that way) on the Austrian record label "Koch International". The ordering number is 122 278 E.
A few songs of it were played on the radio, "Save all your Love Songs" was shown twice on TV, but overall, it was not a very succesful album. In 1991 (I think), G.B. started a solo carrear, with at least one minor hit: "Marie Luisa". But since that time, one didn't hear anything more of him. 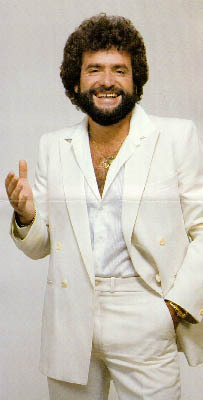 Jan Hop was a member of Kiss Kiss, later drummer of the George Baker Selection.